Bramble is a horse who gives riding lessons in a riding ring. But, Bramble is getting bored of riding around and around the ring while Mrs. Blenkinsop tells the riders what to do (and they tell Bramble what to do). Bramble expresses her boredom by slowing down, or walking backward instead of forwards, or going too fast, or, just not doing anything at all. Mrs. Blenkinsop realizes that Bramble is bored with being a riding lesson horse. Mrs. Blenkinsop tells Bramble she won't have to do any more riding lessons - and that Bramble needs a person of her own.
" A person of her own. Bramble liked that idea. But not just any person. She would have to be picky." And, Bramble is picky. Two families with children come to look at Bramble, but she does not want to go live with them. One family talks about their riding ring. One family wants a horse that is a jumper. Bramble finds ways of telling the families they aren't for her. Maggie and her parents come to look at Bramble. Maggie instantly falls in love (even though she knows she should be picky). Bramble is picky. But, after riding together - Maggie asks to ride outside of the ring - Bramble decides that Maggie is the person for her. Maggie gets everything ready for Bramble to come and live with her. 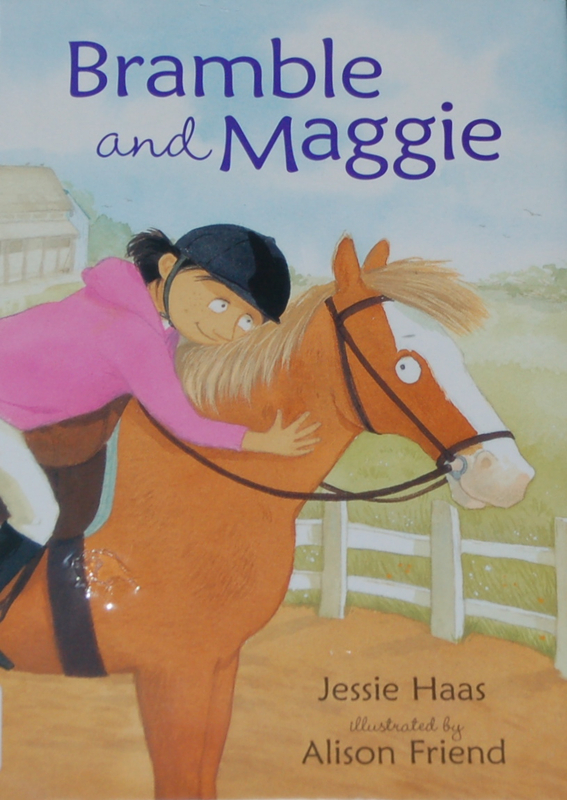 Bramble settles in, and Maggie takes care of her - and learns what Bramble likes. "I have a horse! Maggie thought. And she has me." This is a fun story for a beginning reader with colorful illustrations on every page. There are four chapters. I haven’t heard of this one; I bet my daughter will love it. Thanks for reviewing.